Mrs Stella Ezinne Ike, the mother of the four-month-old baby boy allegedly kidnapped by a police corporal, Uche Odoemena, has narrated how the incident happened. Ike claimed that the policeman, popularly known as Prince, snatched her baby at gun point in front of her husband. She also said a lady aided Prince while he carried out the act. 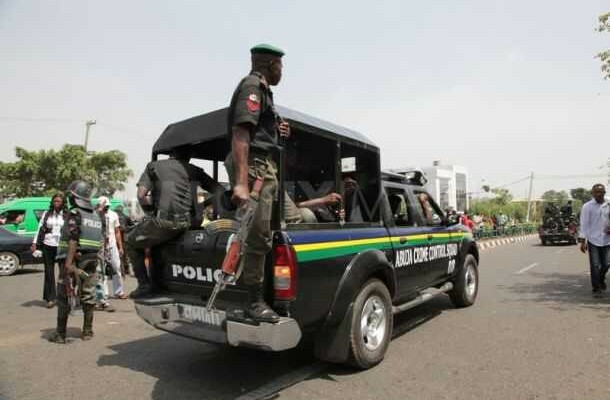 According to her, the police corporal, who was reportedly dismissed after he was arrested and tried in the police orderly room and said to have been remanded in prison, allegedly sold the baby to Mercy Home Orphanage in Owerri, the state capital. She explained that on December 21 2016, a lady, who came in an unregistered car, approached her and her husband to ask for direction and they obliged her. In her explanation, other residents took notice of the lady and the unregistered car and stayed vigilant though she later left. The elated mother explained further that at 2am on December 22, 2016, they were awoken from sleep when Prince allegedly forced their door open in company of the same girl and forced everyone to lie on their stomachs . “The Policeman pointed a gun at me and my husband and repeatedly asked the lady if my baby was the baby and she said yes. They just took her, entered the unregistered car and zoomed off,” she said. She said that the owner of Mercy Home said she rallied round for the money for fear that they may sell the baby to ritualists, and may cut short the life of the child. She said the police swung into action and were able to rescue her baby, which has been handed over to her and her husband.